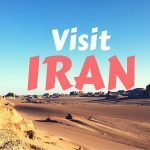 Where to visit and what to do in Iran during winter? You may think that it’s better to travel to Iran during spring or warm seasons. But this is not actually true. Iran is a four season country and in each season, it has something to offer. You can read about other seasons on our article about the best time to visit Iran. But here you can read about where to visit in Iran in winter? There are two options for traveling to Iran in winter. 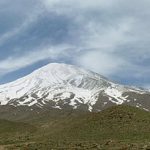 You can visit the warm regions of Iran, like the southern parts; or you can visit the snow-covered areas and cold cities if you’re into snow. Here Iran Destination, Iran travel agency, divides Iran’s attractions to cold and warm ones to be visited in winter. So continue this Iran travel agent to get all you need about your Iran travel in winter. Persian Gulf islands are among the most popular destinations to visit in winter. Most Iranians choose these islands for their Iran travel in winter. Among these islands are Kish Island, Qeshm Island and Hormoz Island. Qesh and Kish are free zones in Iran, this means that you can visit there for 15 days without having Iran visa. In case you’re looking for a luxury island in Iran, then our Iran travel agent recommends you to go to Kish Island. You’ll find luxury hotels and shopping malls there, aside from diving and water sport centers. So, in the middle of winter, you can enjoy water sport, swimming and diving! Qeshm Island is also suitable for those who are into nature. There are lots of natural attractions there, from amazing caves and valleys to Hara forests. Don’t forget to visit Star Valley in Qeshm. One of the places I recommend you to visit is where Persian Narcissus grows. Kazeroon city in Fars province and Behbahan in Khuzestan province have vast interesting plains of Narcissus which grow naturally there. It’s interesting to know that objects found from the prehistoric Elamite era in Iran have some Narcissus shaped carvings on them. So this is not only a natural attraction, but it is actually a historical one. Don’t miss it if you travel to Iran during winter. Khuzestan Province has far more attractions to offer. You may have heard that this province is called the birthplace of the nation, as here is where the first evidence of urbanism in Iran was found, dating back to 2700 BC. If you travel to this province during winter, do not forget to visit Susa, Chogha Zanbil, shushtar and Ahvaz city. Ahvaz is the capital of this province which is called the city of bridges. The other region you can travel to during winter in Iran is Sistan and Baluchestan province, at the south east of Iran. People usually visit this region with professional tour guides, but not lonely. So we recommend you to visit there with a tour guide from our Iran tour operator. The most interesting thing to know about this region is that here is the only habitat of Iranian crocodile, the one locals call Gando. Sistan & Baluchestan includes so many amazing attractions, like the burnt city or Shahr- Sukhte. This city would connect Mesopotamia and Iran with Indian and Asians. It is proved that the city has been so developed. You have to see there with your own eyes. Our Iran tour operator suggests you to visit Lut Desert only during the days of winter, as the nights are so cold in deserts. So this is also another place you can enjoy during winter in Iran. Lut desert includes the hottest spot of the earth, having 70 degrees of centigrade. The main Iran cities of Tehran, Isfahan, and Shiraz are always good choices to visit, no difference in spring or in winter. The weather is in a way you can bear the coldness. If you like to ski and are well-packed for it, do not miss the ski resorts of Iran. 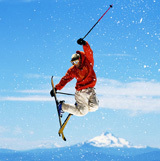 North of Tehran has different ski resorts that you can enjoy. For example, Dizin is an international ski resort which is nominated the best resort in the Middle East. Shemshak and Darbandsar are also other resorts in north of Tehran which you can easily reach. The most interesting point about Iranian ski resorts is that you have a pure blue sky on the top and a pure white and dense snowy ground under your foot. Another feature of these ski resorts is that you will pay much less than other famous resorts in the world, especially in Europe. There is another ski resort near Shiraz, which is called Poulad Kaf. This is also another good option for you, because it is near to the southern parts of Iran. So you can visit all the warm southern cities and islands of Iran, and then also enjoy a ski resort during your trip in Iran. The southern cities of Iran are the warmest cities during winter. The average temperature of these cities is about 24 to 26 degrees. But the Westerns cities like Kermanshah and the Northerns ones like Rasht to the North Eastern ones like Tabriz, are almost covered by snow during winter and the temperature is about 5 to 7 degrees in this area. In some regions, it even decreases to zero and below zero. And finally, the main central cities of Iran, like Tehran, Isfahan and Shiraz have moderate temperature of 8 to 12 degrees. Sometimes it snows in these cities but mainly the weather is fine or rainy. One of the most important festivals at the beginning of winter is Yalda Night. This is one of the customs still alive among Iranians. You can read more about it at our article about Yalda Night. If you have the opportunity to spend this night with an Iranian family, you’ll have an amazing time and know all about this custom. Iran Destination, Iran travel agency, will be by your side and takes you to one of these families to spend time with. Another festival I recommend you not to visit is “Sadeh”. This is a Zoroastrian mid-winter feast mainly held in Yazd and Kerman. These two cities are where Iranian Zoroastrians are living nowadays. Our Iran travel agent takes you to these festivals and I’m sure this will be an unforgettable moment for you. If you have any questions, requests or suggestions, do not hesitate to contact us.